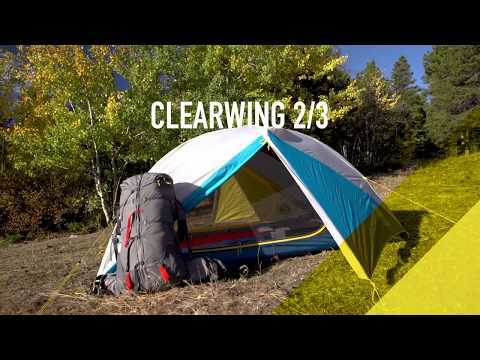 The Clearwing is a 2 door, 2 vestibule fully freestanding backpacking tent. Hoop poles over the doors provide vertical sidewalls and tons of interior space, and a full coverage, vented rainfly keeps the weather at bay. A hubless pole system allows the Clearwing to pack down small into its burrito bag.